Cate: Please welcome Jerri Hines. Jerri, will you please share a short bio with us? Jerri: Hi! Thank you for having me. I started writing ten years ago after my children were in school. I quickly discovered writing became an obsession. I love to write. My first book, Dream Walker, was published with Wild Child in 2008. I live in a small South Shore town in Massachusetts with my husband of over twenty-three years, three children, two dogs and a cat. Cate: Tell us about Patriot Secrets and where it's available. Jerri: I'm excited about Patriot Secrets. 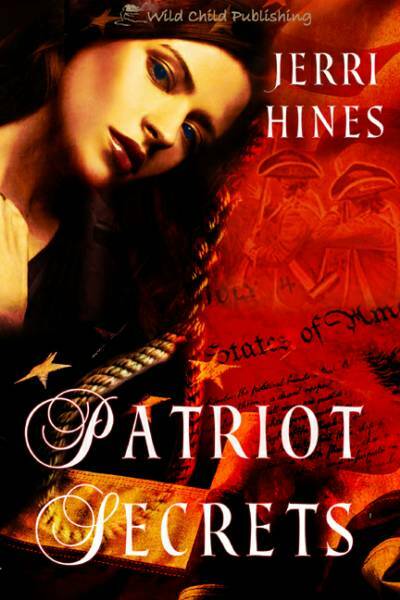 Patriot Secrets was one of my first books. I loved the premise to the story. I love history and the American Revolution is filled with so many intriguing stories. When I read about the Culper Spy Ring in New York during that time, my head began swirling with what if’s. Patriot Secrets and the series developed from those what if’s. I love to write about strong women, heroines who overcome adversity. Hannah made the perfect spy. Men during that time on both sides didn’t believe women capable of such deception. She was accepted by the Loyalists. She mingled freely in their society. And at the time she was spying, the British were arrogant, thinking that they would soon quiet the rebellion. But every step she took, every secret she uncovers, she endangered her life. You can find the book at Wild Child Publishing along with other sites as well such as Amazon Kindle, Bookstrand, and All Romance ebooks. Within the early November morning air, Hannah had set to plant tulip bulbs outside her grandmother’s window. She wanted to surprise her grandmother in the spring with the emergence of flowers that had bloomed beautifully around her home in Williamsburg. She wondered how her home looked now. Her heart pained and with her manner in dealing with that pain, she pushed all it back within her. No, she told herself, she had a mission and had no time to grieve or her heart would rip apart. Sitting upon the ground, she looked up. In front of her Marcus stood, dressed in clothing similar to when she had first met him. Was he going out again to deceive others into betraying their cause? He smiled at her, a charming, disarming smile. He extended his hand to her. She pulled her gloves off, accepting his assistance. With ease, he pulled her up to him, much too close. She wanted to back away, but he held firm. His eyes lay intent upon her. She dusted her skirt off and pushed back her unruly hair. “Of course not, but I’m sorry about my appearance, Marcus. I wasn’t expecting anyone this morning." He didn’t reply. His fingers wiped her cheek where a streak of dirt lay. His hand lingered on her arm. She glanced up at him. He stared into her eyes. She wanted desperately to turn from his gaze, but wouldn’t show a sign of weakness. Her heart beat rapidly, but he said nothing. “No, it’s you I wanted to see,” he answered under his breath. Suddenly, his hands went securely around her waist. “I have told you, my grandmother,” she murmured, finding it difficult to find her words. “I don’t believe it’s your concern, Marcus. I wish you well in your journey.” Her tone emotionless, she twisted, but his gripped only tightened. He pulled her to him. Her protests drowned as his lips came down hard upon hers. His mouth settled upon hers. She could feel a fire within him as his mouth claimed hers. And to her horror she found herself responding to him. Her hands, which once pushed against him, trying to resist, opened freely and she pulled him to her. Her body betrayed her mind, melting into his, his touch, his kiss. His mouth kissed her cheeks, her neck, and back up to her lips again. She couldn’t breathe. Her chest heaving, she finally broke away. Ashamed she responded so; she found she had no words. Oh what was she going to say that her body had so willfully denied with his touch. He caressed her cheek again. “You make it hard to leave, Hannah Corbett,” he said softly. He gave her no opportunity to utter a response. He quickly kissed her lips once more. Then without another word, he departed. Jerri: He’s handsome, daring, and loyal. As Hannah is torn between her cause and love, so is he. Yet in the game the two play against each other, he finds himself in a position that there will be no winners. Cate: Great tension. Tease us with one little thing about your fictional world that makes it different from others. Jerri: I love being different! So many romances I read are set in England surrounded by lords and ladies. The American Revolution offered a taste of that world here in America. So many of the British officers of the American Revolution had aristocratic ties. The Aristocrats seemed to have different rules to live by than common people. Interesting because the Americans were fighting for the rights of all Americans to stand equal. I believe you will find that war of equality was also fought in their love lives as well. Jerri: I’m in the mist of revising Winds of Betrayal, the sequel to Patriot Secrets. I have two more books, The Sun Will Rise and Another Night Falls, set during this time period in Charleston (Charles Town). Jerri: My first story was a mystery when I was ten. I believe it was inspired by reading numerous Hardy Boy and Nancy Drew books. Jerri: I work overnights at a hospital. When I come home, I get a couple of hours sleep. Then I’m up writing while my daughter’s at school and hubby’s at work while everything is quiet. Jerri: I have my website at www.jerrihines.com and blog www.jerrihines.blogspot.com . Cate: I love your FB fan page too. 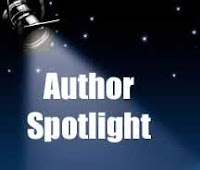 You do a lot to help promote other authors, including me - thank you! Jerri: I would love to get their feedback on my book. Cate: Thanks so much for being my guest Jerri! Readers, check Jerri’s web site for information on an upcoming giveaway! Welcome Jerri! Your cover for Patriot Secrets is so striking. Wow, Jerri! That is one beautiful cover! I couldn't take my eyes off of it! Thanks! I do love my cover. I love the way so much subtly on the cover. Obviously the heroine, but also the hangman's noose, the Declaration, and the soldiers. Everything is connected to the story. And the cover is red! It's my favorite color. I couldn't have asked for more. The cover is the first thing that pulls me in! Do love the cover! Good luck with the book! Love the storyline. Exciting! Love spy stories! Your book sounds very exciting, Jerri. Good luck with it. Thanks, Cate, for having me. Love your blog. And appreciate the thoughts.